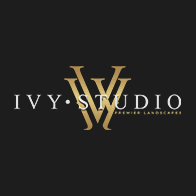 As we take to reflect for the Thanksgiving Holiday this week, all of us at IVY STUDIO extend to you and your Family a warm and happy Thanksgiving greeting. All too often, we get caught up in the daily activities and it is the time to reflect and offer our sincere thanks to you our clients, for allowing us to expand your outdoor environments with our creative and lasting designs. From our house to yours, we wish you a Happy Thanksgiving!